Welcome to my blog. 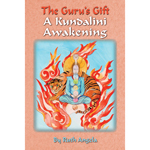 This site is based on the book “The Guru’s Gift:A Kundalini Awakening” which is about my dramatic experience of Kundalini awakening in 1979 from shaktipat from an Indian Guru. My carefully organized life began to unwind, but what I did not realize at the time was that my true life was beginning, and the fake, socially acceptable life I had been leading was being rearranged to reflect the authentic me. Background: When this event occurred in 1979, I had no idea of Kundalini, of what had happened, or what to expect. For almost two years, I was a stranger to myself, experiencing other worlds, reading Sanskrit in the grass, flying in the air, having clairvoyance with the world around me and being visited by strange entities. Almost no one knew what was going on except my guru. What happened? : Even though I could not stop this process, I was ashamed of the fuss and disruption I had caused to my family. So I set out in 1993 to find out what occurs when the Kundalini is released from its coil at the base of the spine. How does it change a person? What does it do as it cleanses? Where does it go? What kinds of outcomes can one expect? When does the process end? Why don’t we know about this phenomena? And, Why me? All these questions have taken me years to answer satisfactorily so I can explain it to others. What took months to experience has taken me 20 years to finally understand with my “mind.” I hope that all my effort, long holidays writing and researching and having almost no social life, yield some benefit to others. My Gift to you: When I received this gift, the value was not apparent to me in 1979, but today, after learning so much more, I am unable to express the full extent of my gratitude. I am able to offer this small token of what I have discovered to you, to spread the news, to transmit the wonder of what it truly is to be a human being. This is “The Guru’s Gift” that can also be yours. See the full introduction below the video. I wrote this book to provide information and advice to those seeking to get help with the experience of Kundalini awakening. This is one of the least understood human experiences in my culture, yet it is the birthright of humanity. I learned eventually that it is as normal as puberty or menopause, but no one could help me in 1979 except my dear guru. In India, ancient China, Tibet, Africa, South and Central America, Australia, South East Asia and anywhere the indigenous peoples have been able to retain their ancient traditions and ways, it has been understood and practiced for millennia. Thanks to their careful oral traditions and guarded knowledge, the West can learn the truth about who we are, something that should have been our heritage too but for devious controllers of knowledge from the time of Christ. In the West: Today, forty years later, much more is known in Western culture thanks to the widespread interest in yoga and meditation and to the Internet for linking everyone. Many people are anxious to awaken their Kundalini hearing from increasing reports of all the amazing gifts that accompany this awakening. These gifts are called siddhis, such as levitation, clairaudience, clairvoyance, out of body travels, remote viewing etc. But trying to awaken the Kundalini is not wise unless there has been ample preparation which may take years or even lifetimes. It is not recommended that anyone stimulate this process without having a wise and advanced teacher who has him/herself gone through this process to completion. The Guru is Kundalini: As my book shows, the true guru (either in a body or from within) is essential to guide and direct the Kundalini process. Though many of these great teachers have left the planet, they have given us the knowledge of this to share with others. The Kundalini herself is the best guide I have found. She knows what is needed, how to clear out your cellar of darkness, and how to bring you to your highest potential. The process takes years; in my case the most dramatic time was over two years, and then things settled down into something that I could manage while raising a child alone, getting a college degree, and earning a living. I settled into a practice that helped me progress at a measured pace. To facilitate and ease the transformational process, the drama and bliss, the pain and the shame, I have spent 20 years writing this, so the reader can understand more about this phenomena. The Life Force itself: The Kundalini is our “life force” that brings us the life we use every day to perform all our activities and to keep our bodies animated. Without it we are just carcasses, as dead as the Egyptian mummies in the museum. This power that creates the universe and manifests the world as we see it, is nuclear. It is not something to play with nor manipulate. This process takes its own time and will occur when the student is ripe and ready naturally. Any forcing through strange yoga postures and over practicing, is DANGEROUS. The Outcome: However, it must be absolutely clear that the goal of this transformative experience is NOT to gain power over others, not to be able to levitate, not to be able to travel through the stars to other galaxies, but to reach a certain state where one knows that one is integral and universally part of ALL that is. This state is not an ego trip. Far from it. The ego, once Kundalini takes over, is vanquished and evaporated. Once the ego is won, then one’s true nature appears. This is where the real fruits of the awakening become manifest. 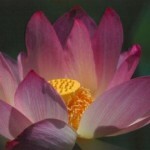 From this state one knows the truth of human life and life becomes infinitely more peaceful. So this state is the goal that your Kundalini is pushing you towards. The good news is if you do not make it in this body, the next body that you manifest will continue the process until eventually you Master your chi or Kundalini. The good news also is that more and more information is freely available to you today. Reader: I offer you my own experience and the fact that I have journeyed on this path and come out on the other side whole, sane, peaceful and more human. I have discovered that human beings are very, very special creatures with enormous nobility, courage and power. If we only knew the half of who we really are! The path of Kundalini awakening is the step on that journey to find out who pulses within you, who your real parents are and to whom you truly belong. Thank you for reading this far, and welcome to the most amazing journey you will ever take in this life.